The Stuff I Need checklist app has been updated to version 1.2 in BlackBerry World and the Windows Phone store. 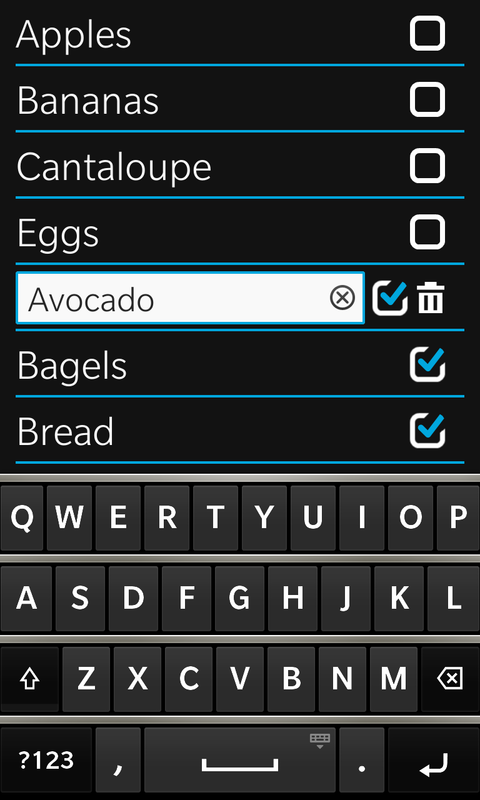 This new version includes some additional optimizations for the Q10, as well as adding the ability to delete all checked items from the options page. Originally conceived as a grocery list app, this minimalistic checklist can be used to keep track of the stuff you need to get, or the stuff that you need to do. Items on the list can be edited (or deleted) by giving them a long press.